The HP LaserJet 1500 is a printer with which you may be not be that familiar, but there is plenty to be said about this little workhorse of a machine. Of course, the process of finding the right printer for your specific needs and requirements shouldn't be too stressful and as long as you know what choices you have available, then you too can get the very best value for your cash. The HP LaserJet 1500 has plenty to offer, so here is a brief review of the finer features of this small, but well-formed office printer. As already noted, the HP LaserJet 1500 is a rather small printer, and one which will fit nicely into a wide range of spaces. Simple, unassuming colour schemes finish off this delightfully curved item and the user interface is also fairly simple to operate. Some of the benefits which might befall an HP LaserJet 1500 owner are speedy print outs, quality results and politely straight forward physical set up. 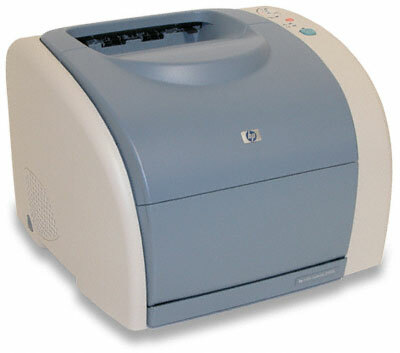 Printing should be easy, and with the HP LaserJet 1500 is it is, even in a busy office environment. Finding fault with any printer can seem a little mean spirited in truth, but thankfully there is not much to complain about where the HP LaserJet 1500 is concerned. The printer is cheaply priced, easy to maintain and can produce some very impressive print outs. However, as this is not a truly top of the range laser printer, you shouldn't expect the HP LaserJet 1500 to offer anything more than a fine speed and a set of good results. It has limitations, but then what printer doesn't?